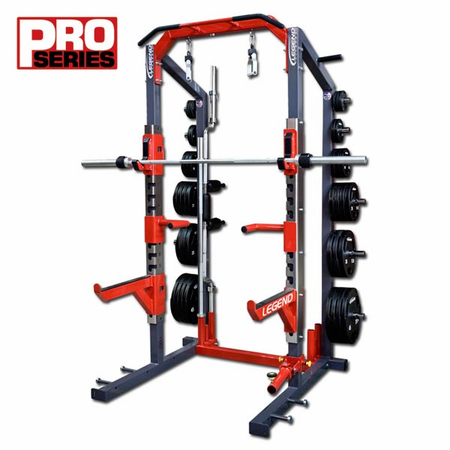 The not-so-little brother to the 3221 Power Cage, the Pro Series Half Cage doesn�t cut back on anything but floor space. 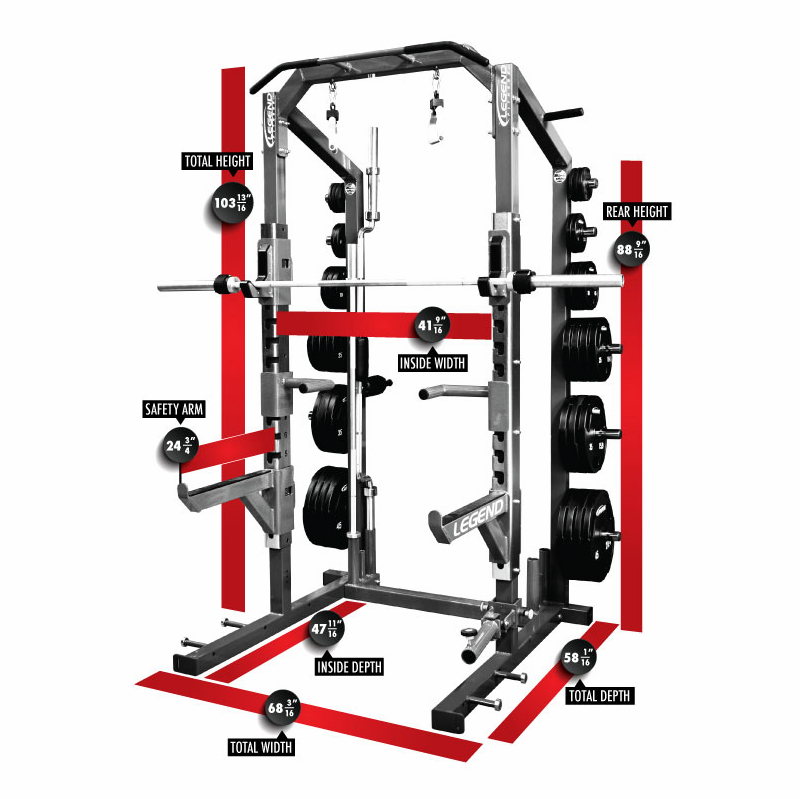 The chosen cage of D1 Sports Training, Competitive Edge Sports and Athletic Republic, the Legend Fitness Pro Series Half Cage features only 12 frame bolts but dozens of features and accessories. 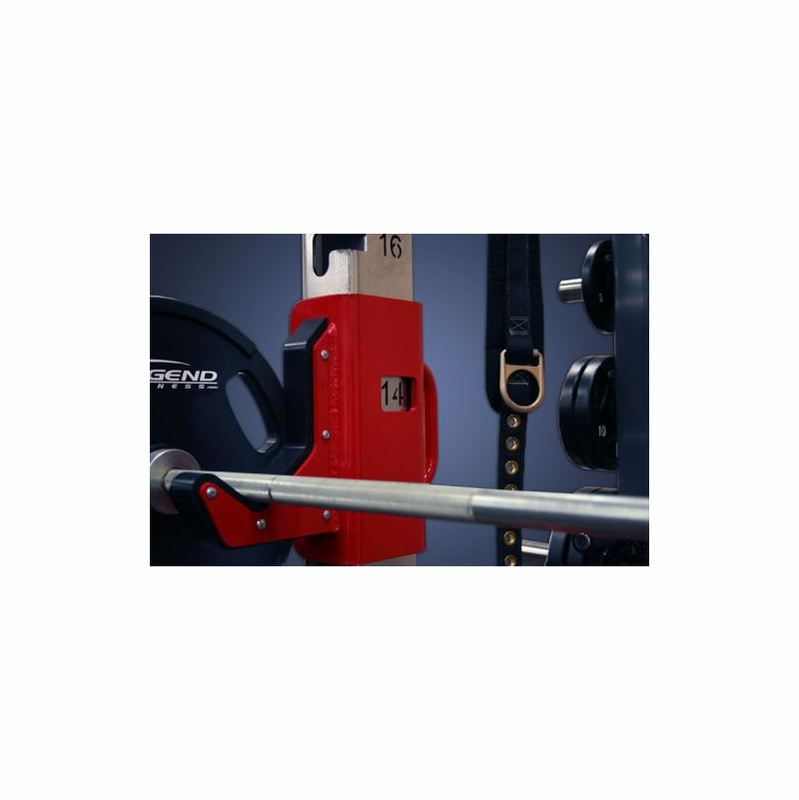 Monster Hooks with advanced polymer contact surfaces, 7 gauge chrome racking, and made-in-East-Tennessee quality is standard with every cage, as well as a multi-grip chin up bar, resistance band pegs, Olympic bar storage, and 3″ x 2″ adjustable bar catches. 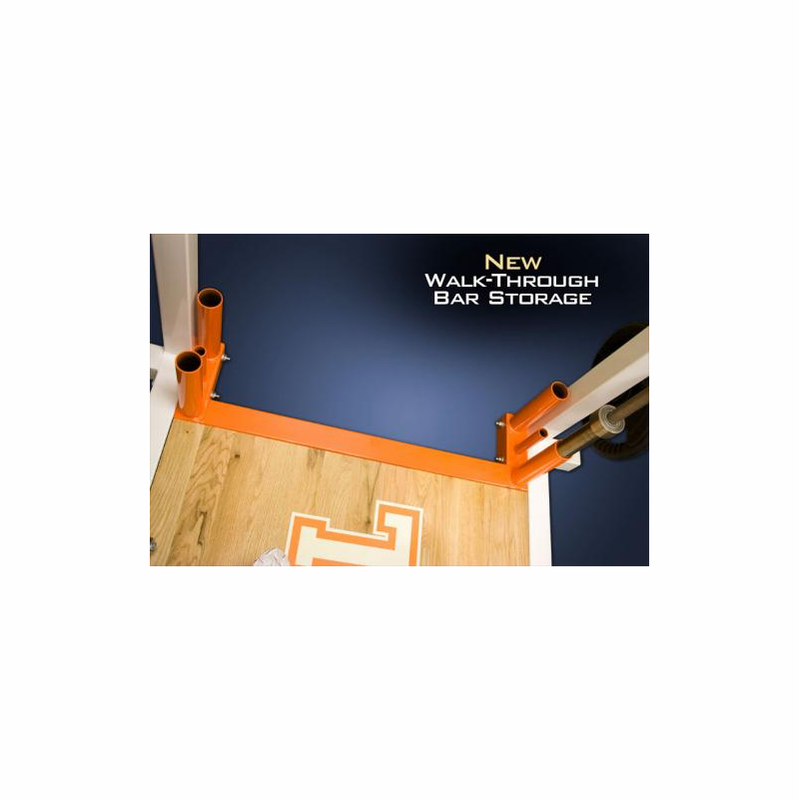 11 gauge 3�3-inch tubing and 7 gauge, chrome-plated racking with laser-cut numbering. 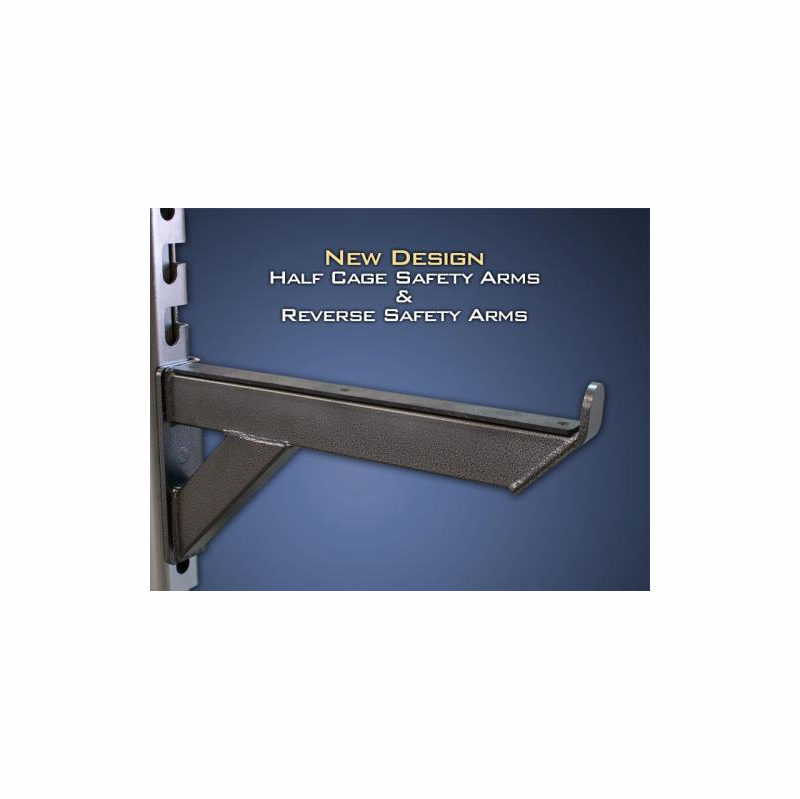 The safety arms were overbuilt for when something slips, featuring not only a 3�2-inch cross section and ABS wearguards, but an internal, solid, 1-inch racking rod. 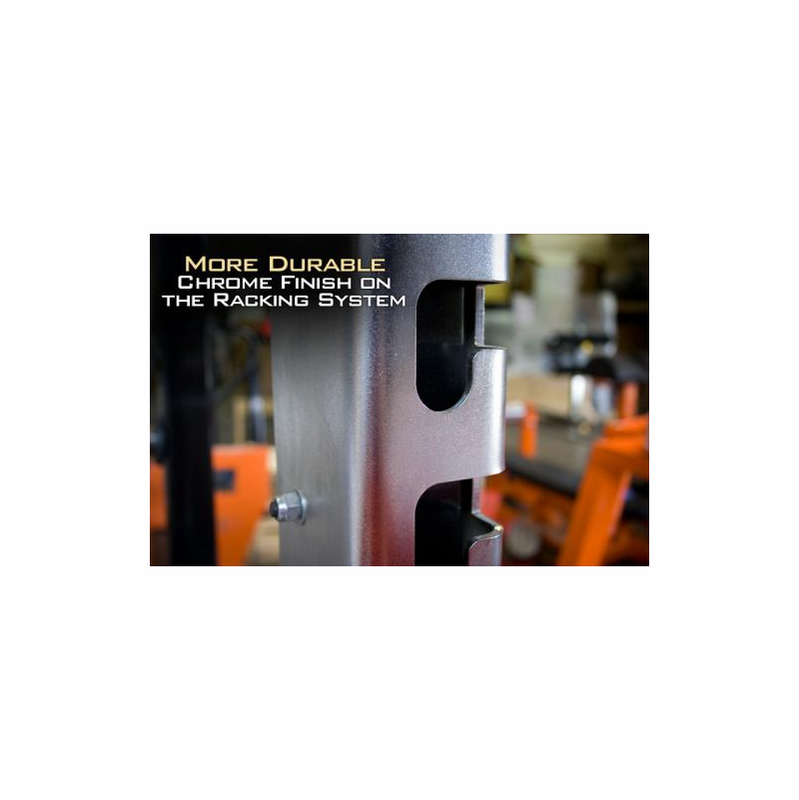 12 chrome-plated, frame-welded, numbered, Olympic-size plate storage pegs that are slightly angled for safety. 2 angled storage pegs for resistance bands/chains. 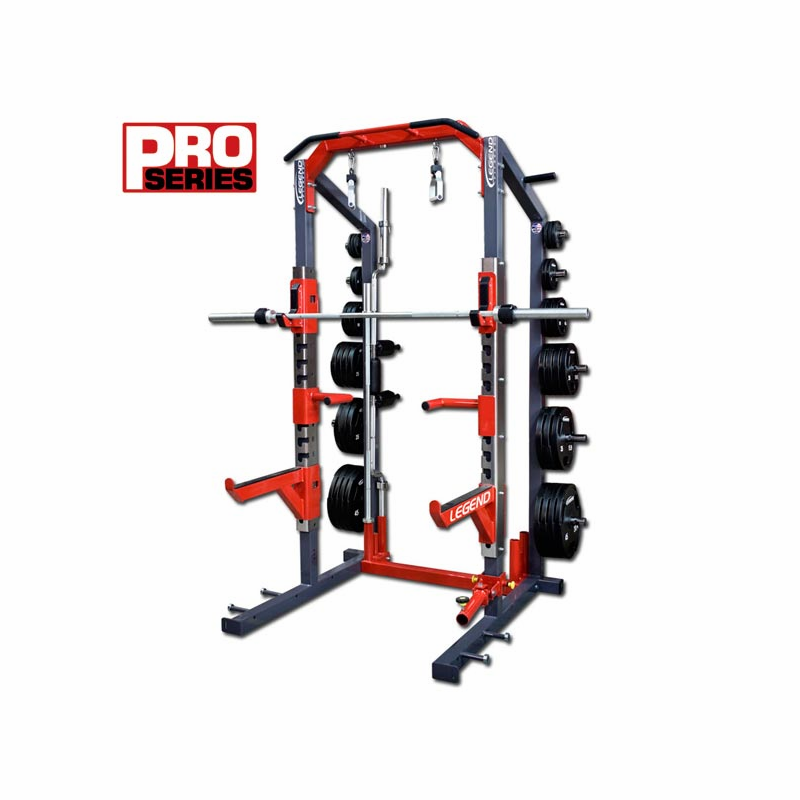 Upright bar storage for up to 4 Olympic bars (can also hold the optional dip attachments and bench rods for the bench docking system). 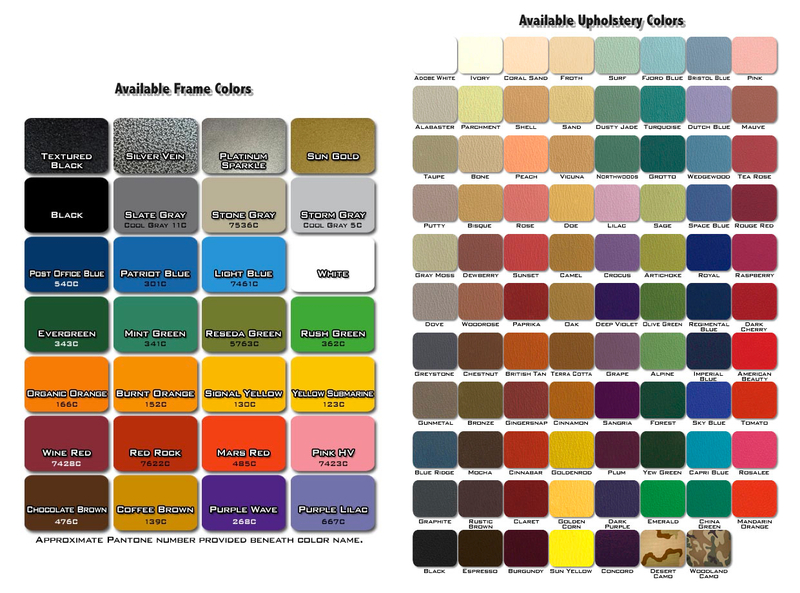 Measurements: (LxWxH):58" X 68" X 104"